So much for any attempt at balance and objectivity—this book is certainly not a disinterested search for truth and is devoid of any careful weighing of evidence, for and against his thesis. Rather, it is this author’s most polemical work to date, that of a man driven by an unholy zeal to depose the God he claims to disbelieve in but transparently hates. 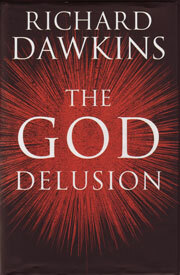 The irony is that Dawkins is utterly dogmatic and insistent that his own views on religion are superior to all others! Ironically, the first sentence of the next chapter is a veritable torrent of abuse1 directed at ‘The God of the Old Testament … arguably the most unpleasant character in all fiction …’ I found offensive and blasphemous. Similar outbursts appear elsewhere but when a professed atheist engages in such frequent name-calling—‘psychotic delinquent’ (p. 38), ‘monster’ (p. 46) and ‘evil monster’ (p. 248) will suffice as examples—one wonders how secure he really is in his atheism. ‘Instead I shall define the God Hypothesis more defensibly: there exists a superhuman, supernatural intelligence who deliberately designed and created the universe and everything in it, including us. This book will advocate the alternate view: any creative intelligence, of sufficient complexity to design anything, comes into existence only as the end product of an extended process of gradual evolution.’ (emphases in original; p. 31). 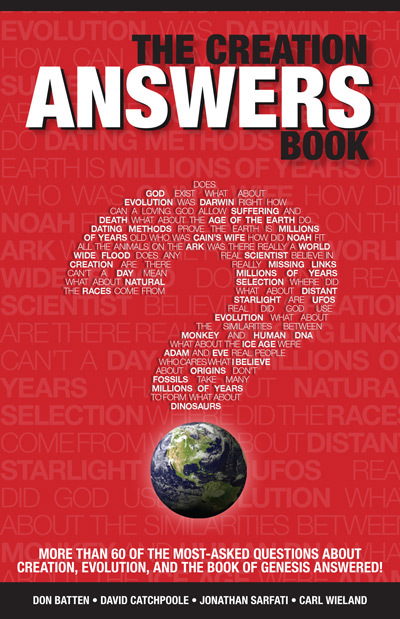 Why read and review a 400-page treatise of a man’s hatred of God? Simply because, for all Richard Dawkins’ ranting ways, he is so widely promoted in the mainstream media that he cannot be ignored. While it is true that a number of non-believers do smell a rat when they observe such blatant antireligious bias, many more—including a constituency of his readers that attend churches—accord this man’s writings and opinions with considerable honour. The limitations of a review mean there is much that begs for comment or critique that must be ignored, while seeking to arm the reader with many usable Dawkins quotations. Leading philosopher Alvin Plantinga argues that Dawkins’ forays into philosophy could be called sophomoric were it not a grave insult to most sophomores. Similarly, leading philosopher Alvin Plantinga argues5 that Dawkins’ forays into philosophy could be called sophomoric were it not a grave insult to most sophomores. Who are you calling a fundamentalist? Those who adhere to a belief in divine revelation subvert science, claims Dawkins. Yet, this entire book furnishes ample evidence that he has failed to follow his own advice! 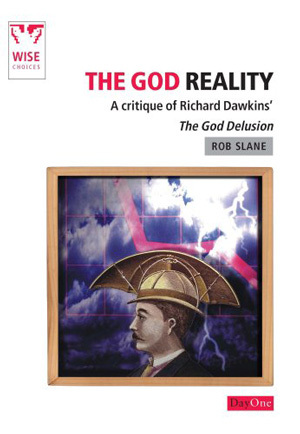 The fact that Dawkins’ critiques of many carefully argued and long-standing arguments for God’s existence are dealt with in very few pages tells us more about the power of his own self-belief than the soundness of his refutations. For instance, arguments that invoke Thomas Aquinas’ ‘Unmoved Mover’ and ‘Uncaused Cause’ (or similar) are plain wrong, he says in a blatant ipse dixit,7 because the implied/explicit infinite regress must also apply to God himself (p. 77–78) (although philosophers argue cogently that only that which has a beginning needs a cause). Chapter 3 barely scratches the scratch on the surface with respect to other philosophical arguments for the Divine. As for ‘the argument from personal ‘experience’ (p. 87–92), Dawkins believes that this kind of thing simply demonstrates ‘the formidable power of the brain’s simulation software’ (p. 90). But then, how can we be sure that his atheistic just-so story-telling doesn’t demonstrate the same thing, according to his own ‘reasoning’? Each of these assertions is made without a shred of supporting evidence and amount to so much bluff and bluster. Since the nineteenth century, ‘scholarly theologians’ (i.e. liberals) have all but proved the unreliability of the Gospels—so he says. His other sources for alleged contradictions or errors in the New Testament are sceptics like himself, such as a writer for the Free Inquiry, and he actually thinks that embittered apostate charlatans like Brian Flemming are credible. Does he seriously believe that Christians have no answer to the charge that, since Matthew 1 and Luke 3 record very different genealogies, this is a ‘glaring contradiction’ (never mind that theologians have long shown from the original Greek grammar that Luke is presenting Mary’s line)? Predictably, he wheels in gnostic writings to further poison these already muddy waters (p. 96). On the contrary, Dawkins is apparently ignorant of the F1 ATPase motor,11 direct observations of the rotation of which were published in Nature in 1997; that same year, several scientists shared the Nobel Prize for Chemistry for this discovery. Also, the bacterial flagellum motor is 100% efficient at cruising speed.12 Such errors hardly inspire confidence. It’s notable that Dawkins says he recommends Miller’s book to Christians—showing clearly how he treats theistic evolutionists as ‘useful idiots’ who undermine their own faith. In fact, his insinuation of a ‘god of the gaps’ mentality grossly misrepresents the argument for irreducible complexity. Far from being an intellectual cop-out (‘we can’t imagine how this complexity was produced so God must have done it’), design is the only credible scientific explanation for certain data based on what we do know—it is precisely for this reason that non-theists and agnostics have joined the ID movement. Aside from the fallacy pointed out already, Christian philosopher Alvin Plantinga has pointed out that his argument also begs the question by presupposing materialism. In other words, it presupposes that God is composed of the same sort of matter/energy as the universe, and subject to the same laws. Such an approach a priori rules out the notion that God is spirit, is the uncaused First Cause, is eternal, etc. It thus seeks to discredit God’s own claims about Himself without engaging them on their own terms, ruling them inadmissible by default. ‘What makes my jaw drop is that people today should base their lives on such an appalling role model as Yahweh …’ (p. 248). By what standards (omitting the Bible which he rejects) does Dawkins make these points? He doesn’t say. And it seems incongruous with his recent support for eugenics, on the grounds that 60 years is enough time to reconsider some of Hitler’s ideas. Later, Dawkins asks why God couldn’t just forgive sins without sacrifice but he knows the biblical answer and actually refers directly to Hebrews 9:22. So Dawkins does understand Christianity—much better than many ordinary Christians do—but he wilfully rejects it. In fact, he admits to hoping to make atheists out of some of his religious readers (p. 5). ‘I am continually astonished by those theists who, far from having their consciousness raised in the way that I propose, seem to rejoice in natural selection as “God’s way of achieving his creation.”’ (p. 118). Other examples of Dawkins’ criticism of compromising ‘believers’, who pick and choose which parts of the Bible they are comfortable with, are found on pages 157 (belief in the Virgin Birth and the Resurrection), 238 (Genesis not literal), and 247 (Scriptures symbolic or literal). Yet, the ‘meme’ hypothesis of Dawkins merely describes the transmission of ideas and beliefs over generations and falls far short of explaining the origin of religion—amounting to so much hand waving (even according to many evolutionists) and, well, faith (of the blind sort, not the biblical kind). It also ignores the historical evidence for the claims of Christianity, in particular Jesus’ resurrection. 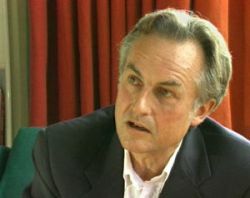 One hopes that many of his readers are rather more well-informed than Dawkins gives them credit for.15 Christian persecutions were inconsistent with the teachings of Christ, while atheistic persecutions were consistent with atheism—indeed, communists have persecuted non-atheists precisely because they were non-atheists . So, ‘why are we good’ (chapter 6) if a bloody evolutionary struggle is responsible for human existence? · There are probably ‘superhuman’ alien civilizations elsewhere in the universe (p. 72). 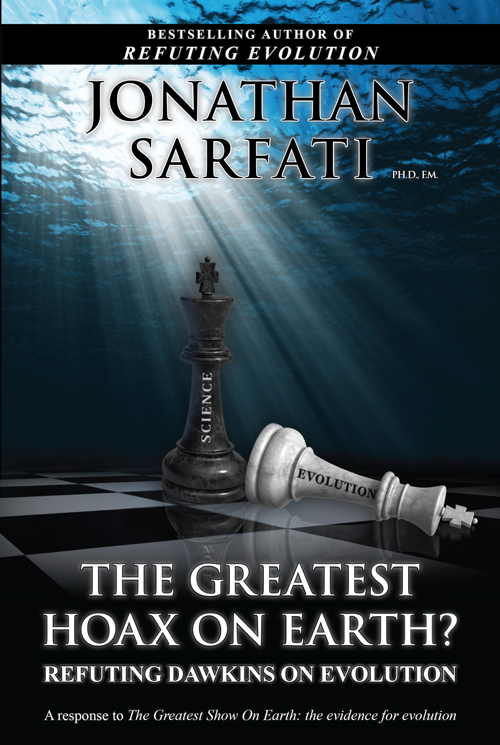 · ‘I think it is definitely worth spending money on trying to duplicate [the origin of life] event in the lab and - by the same token, on SETI, because I think that it is likely that there is intelligent life elsewhere’ (p. 138). · There may well be a plethora of universes (the ‘multiverse’) and he even claims: ‘we are still not postulating anything highly improbable’ (p. 147)! ‘Think about it. On one planet, and possibly only one planet in the entire universe, molecules that would normally make nothing more complicated than a chunk of rock, gather themselves together into chunks of rock-sized matter of such staggering complexity that they are capable of running, jumping, swimming, flying, seeing, hearing, capturing and eating other such animated chunks of complexity; capable in some cases of thinking and feeling, and falling in love with yet other chunks of complex matter. We now understand essentially how the trick is done, but only since 1859.’ (p. 366–367). And this is the man who is trying to convince his readership that believers in God are deluded! But, he says, parents should not impose their views on their children. Of course, the learned professor is exempt from his own advice—witness the incident he related in Climbing Mount Improbable, where he took pains to put his young daughter ‘right’ for taking a teleological view of wild flowers.17 Exposing young people to ‘all the scientific evidence’ clearly would not equate to teaching evolution ‘warts and all’—including its scientific flaws—in Dawkins’ mind! ‘[For] the religious foes of abortion … An embryo is a ‘baby’, killing it is murder, and that’s that: end of discussion. Much follows from this absolutist stance. For a start, embryonic stem-cell research must cease.’ (p. 294). Biblical ignorance is a large part of the reason for the moral laxity and relative moral stance taken by so many today (including within churches)—although Dawkins’s point is simply that the Authorized, King James Version of the Bible has important literary merit. ‘Who, before Darwin, could have guessed that something so apparently designed as a dragonfly’s wing or an eagle’s eye was really the end product of a long sequence of non-random but purely natural causes?’ (p. 116; emphasis in original). No less than twenty adjectives and nouns are hurled at God until the professor has vented his spleen. Return to text. Hall, S.S., Darwin’s Rottweiler, Discover 26(9), September, 2005. The article is subtitled: Sir Richard Dawkins: Evolution’s fiercest champion, far too fierce. Return to text. Root of all Evil? Channel 4, United Kingdom, presented by Richard Dawkins and screened in two parts during 2006. Return to text. Eagleton,T., Lunging, flailing, mispunching, LondonReview of Books 28(20), 19 October, 2006, last accessed 25 January, 2007. The author is Professor of English Literature at Manchester University, UK. Return to text. Plantinga, A., The Dawkins Confusion: Naturalism ad absurdum, Christianity Today (Books and Culture), March/April 2007. Return to text. Dawkins, R., quoted in: Roger Highfield, Science’s scourge of believers declares his faith in Darwin, Daily Telegraph, 5 January, 2005, p.10. Return to text. Ipse dixit (Latin) = ‘He himself said it’, i.e. an unsupported assertion. Return to text. See: Sarfati, J., review of Climbing Mount Improbable, Journal of Creation. 12(1):29–34, 1998. Return to text. Behe, M. J., Darwin’s Black Box. The Biochemical Challenge to Evolution, The Free Press, 1996. Return to text. Miller points out that there are similar components in e.g. the toxin-injection organelle of the plague germYersinia pestis and claims that this refutes the claim for irreducible complexity of the flagellum motor. Not so; around three-quarters of the components in this motor are unique and absent from the plague bacterium’s ‘Type III secretory apparatus’ (TTSS). There is actually good evidence that the organelle in Yersinia resulted from degeneration of a functional flagellum—consistent with the Creation/Fall model and in no way undermining the case for irreducible complexity of the flagellum motor. 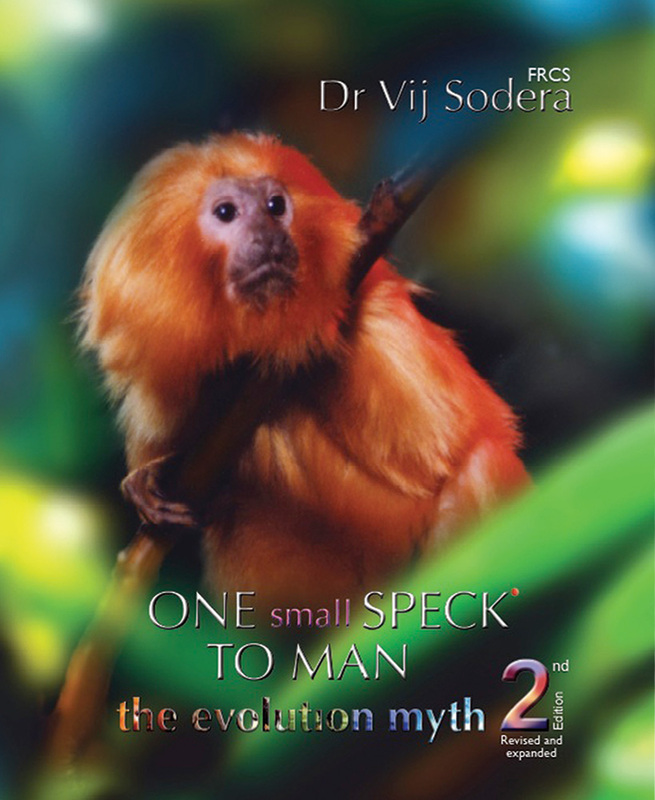 Indeed, evolutionary experts argue that the TTSS must have come first, so Dawkins and Miller are contradicting the best evolutionary theory as well.Return to text. This is a subunit of the larger ATP synthase enzyme which is ubiquitous in all living cells, and vital to generate its ‘energy currency’ ATP. See: Sarfati, J., Design in living organisms (motors), Journal of Creation 12(1):3–5, 1998. Return to text. DeVowe, S., The amazing motorized germ, Creation 27(1):24–25, 2004. Return to text. The title of his book of selected essays, published by Weidenfeld & Nicolson, London, 2003. Return to text. For example, see White, A.J.M., The lost message of Jesus is no message at all! 15 November 2004. Return to text. For instance, see: Bergman, J., Darwinism and the Nazi race holocaust, Journal of Creation 13(2):101–111, 1999; Bergman, J., The Darwinian foundation of communism, Journal of Creation 15(1):89–95, 2001. Return to text. Hall, R., Darwin’s impact—the bloodstained legacy of evolution, Creation 27(2):46–47, 2005. Return to text. Dawkins, R., Climbing Mount Improbable, Viking Penguin, London, p. 236, 1996. Return to text.